You are going to Love this beautiful New book by Sue. It is filled with inspiring new landscapes that will entice you to pick up your brush and paint. 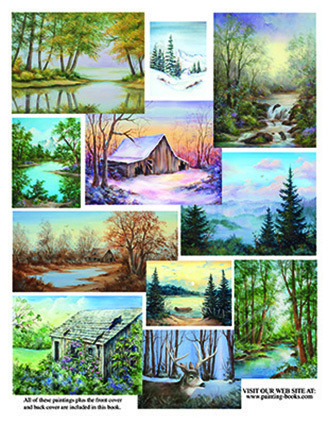 Barnscapes: "Nostalgic Memories" is a barn weathering in a dry arid landscape. 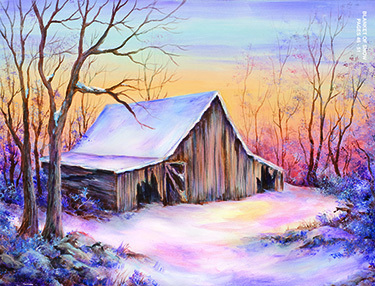 "Blanket of Snow" reflects the lush colors of the sunset in a snow draped barnscape. 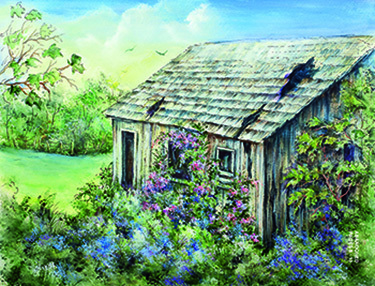 "Abandoned" is a weathered shed being reclaimed by nature wrapped in brambles and flowering vines. "Days End" is a tranquil golden lake scene inspired by a Summer family adventure boating on a lake. 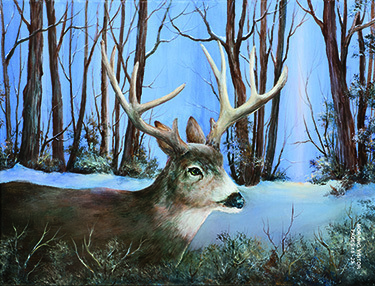 "Morning Visitor" captures a gentle deer as it walks along the woods edge. "Shafts of Light" stream through the canopy of green trees to touch the blue water as it glides through the woods. "Tranquil Waterfall" is a soft elegant painting that captures the quiet light of the day. 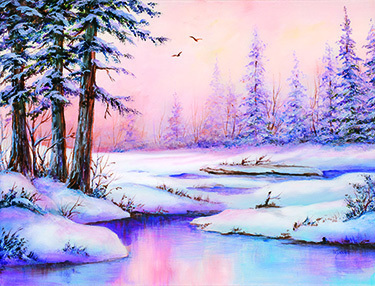 "Winter Woods" is a crisp fresh snow scene looking across the clearing to the snowy mountains with a small white church with a steeple nestled on a rise. 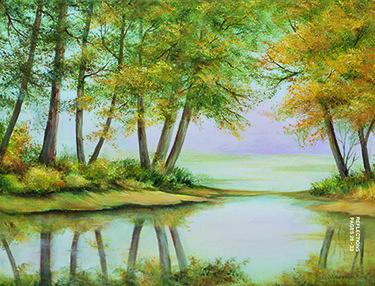 "Reflections" is a quiet soft moment gazing across the water at a the delicate lace of foliage on the trees as they are reflected back in the water. 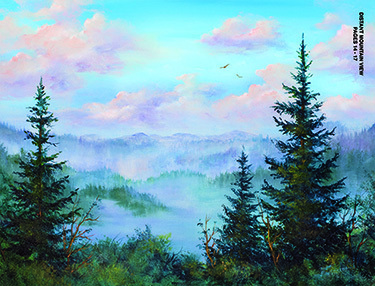 "Distant Mountain View" is laced with soft pink clouds as the mist settles into the mountain valleys, this painting was inspired by one of Sue's favorite vistas on the drive between Cannon Beach Oregon and Portland. 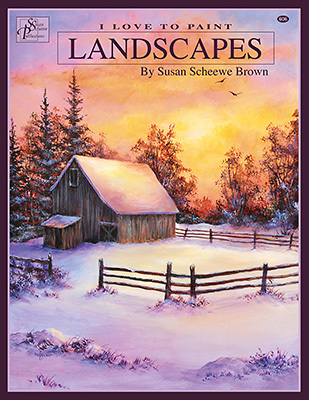 This book is full of paintings that are inspired by the places that Sue has visited, moments in nature and always looking at the world through an artist eye.